TAMPA, FLORIDA – This is a post where we’re going to brag on ourselves a bit because we recently achieved a new level of success for one of our clients in a highly competitive market. 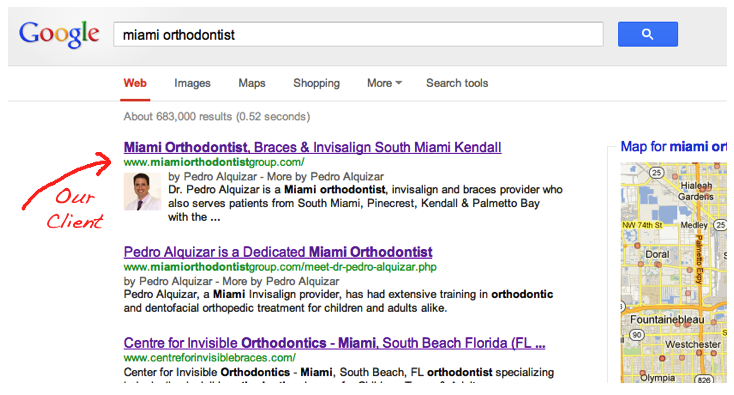 Our client, Miami orthodontist Dr. Pedro Alquizar, recently began appearing on Page 1 in the first position for his primary keyword: Miami orthodontist. This happened within six months of Dr. Alquizar starting his SEO campaign with us. Getting clients to the top of Google is the goal of every good SEO firm. But as our fellow Web and SEO marketing experts I’m sure will agree, achieving that goal can be a difficult task. Dr. Alquizar is in the greater Miami market where there are about 70 other orthodontists, so getting to the top of the heap is no small feat. It also should be noted that Dr. Alquizar has more than 50 keywords that we work to optimize at any given time. As a result of our SEO campaign, Dr. Alquizar’s website has experienced a traffic increase, which you can see in the graph. 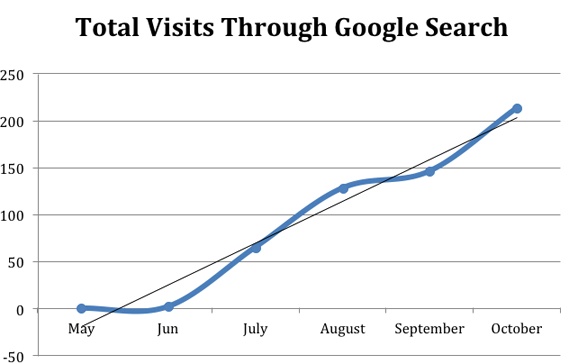 The graph shows Dr. Alquizar’s website traffic changes from May 2012 to Oct. 31, 2012. “When this client signed up with us, we registered a whole new domain for him, which means we started our SEO work using a clean domain,” says Saeed Khosravi, Millionairium’s operations manager. Most of the time, the clients who come to us have a previous profile of aggressive and/or unnatural link building work that makes our job much more difficult, compared to when a client has a newly registered domain that doesn’t have any backlinks, Khosravi says. Another factor that played to our favor was the exact-match domain we chose for Dr. Alquizar- www.miamiorthodontistgroup.com- and our proper on-page optimization. 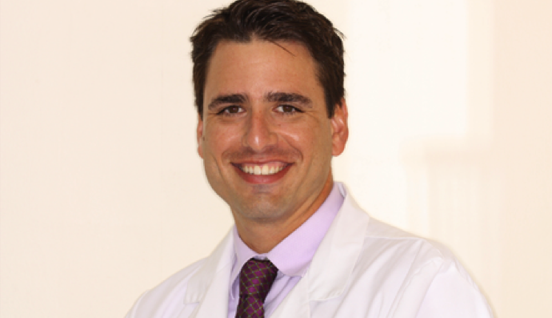 This is worth bragging about because Dr. Alquizar wasn’t our first foray into the Miami market. We had another Miami orthodontist as a client a couple of years ago, and it took us a year to get that client ranked as well on Google organic search results. “Today we have a stronger link building capacity, a better link building team and a better approach to link building and it shows,” Khosravi says. By taking a multifaceted approach that also included directory submissions and copywriting, SEO success was achieved. We thank Dr. Alquizar for entrusting us with his campaign. If you’ve been sitting on the fence as to whether you should invest in SEO for your website, give us a call to learn how we can get you to the top. This is awesome! Orthodontist rocks these days! Thanks for sharing this very informative article! This is very hard to make. In six months is a record. Congratulations! You are the best SEO firm ever! Seeing your work on top of Google is really something to brag about. The keyword itself is highly competitive so congratulations! I agree on starting out on a clean slate. I\’ve worked with other domains before and I agree how difficult it is to work on something tainted with unnatural links. Keep up the good work Master Google team! Congrats TEAM Master Google… Good work…..
YOU ARE THE BEST FOR SUCCESS!